Leading Manufacturer of mild steel angle, unequal angle bar and l angle from Mumbai. We supply Mild Steel Angles which are widely used in construction and fabrication industry. 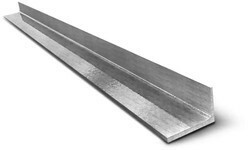 We distribute these steel angles with quality Mild Steel or MS Angles using high grade raw material. These are provided with stiffness, strength and hardness; it is used in brackets, frames, reinforcements and trims, among various other applications. Our supplied steel is durable in nature that can withstand any weather conditions. We supply these steel with different sizes and shapes as per the client requirements. Our organization has successfully expanded its business in market owing to the offered elevated quality array of Unequal Angles. At vendor base, the offered angles are manufactured utilizing best quality raw-material and cutting-edge technology. Moreover, a team of our vendors' quality examiners conducts a series of quality tests on the entire range to seek out any probable defect. In tune with industry standard, we provide the entire range in different customized options and industry leading prices. Banking on the skills of our talented team of professionals, we are involved in presenting an enormous quality range of Mild Steel L Angle to our customers. 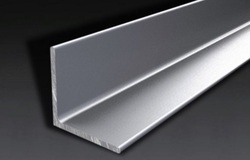 This Mild Steel L Angle is used for manufacturing of racks, structural frames and also for construction purposes. We offer these products at industry leading prices.